“This essay aims to shed light on a thread of Scottish nationalism that found inspiration in the Irish Gaelic revival and, later, in the Irish Revolution. The primary subject of this study, Ruairaidh Erskine, did not convert a significant amount of Scots to his irregular orthodoxy. He did, however, form an impressive network of Scottish nationalists. Erskine represents a nexus between Irish separatists and Scottish politicians, labour leaders, and intellectuals. The purpose of this essay is to illuminate an under appreciated connection between Irish separatist thinking and Scottish political thought in the early twentieth century. The website of the Scottish Republican Socialist Movement (SRSM) carries a longer piece on the great man. 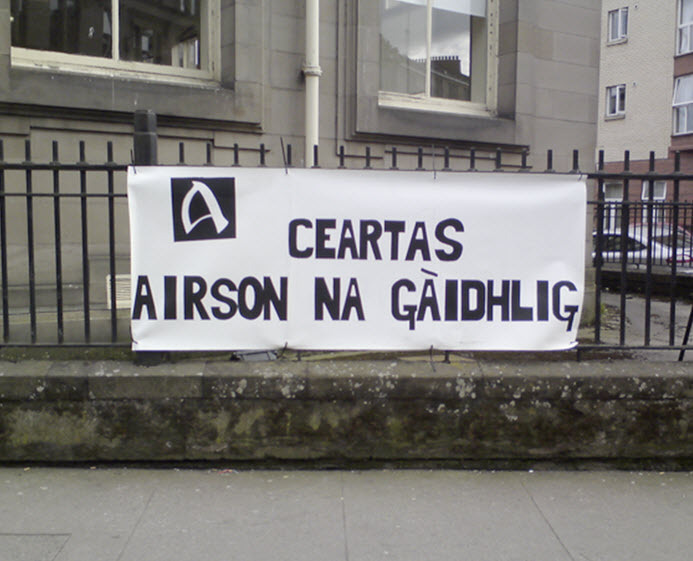 And here is a link to some of his writing and the radical publication Guth na Bliadhna hosted by the Scottish language university Sabhal Mòr Ostaig.